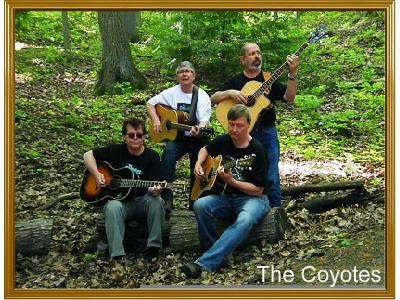 In addition to their self-penned songs, The Coyotes play an eclectic mix of classic and contemporary music - and always in their own unique way. The band is made up of members Peter Paolucci, Burke Cullen, Mark LaVigne and Eric Mattila You'll hear influences of folk, blues, country, rockabilly, early R&B, and rock 'n roll. Their cover repertoire includes the Beach Boys, the Beatles, Jimmy Buffet, and the Eagles. The Coyotes' current album is called Out Of The Woods. Tune in as this Ontario group talks about their album, performing live, songwriting & much more.